Proof of conquering the world with Velvet and company. Thank you for playing! Proof of escaping the island prison. Velvet's fight for revenge begins here. Proof of attacking the world's savior. You will defeat him by any means necessary! Proof of destroying reason and plunging the world into chaos. Your quest still goes on. Proof of knowing your sin and its price. There is no escape now. Proof of learning the true story. In spite of this—No, because of this, you must go on. Proof of the will to finish the fight against the exorcists. Once all is devoured, it will be done. Proof of seeing the end of the tale. Now you can go another round or aim at completion! Proof Velvet has relearned the culinary artes. Her Culinary Mystic Arte? Quiche, of course. Proof of conquering masters of the sword. Rokurou's skills have reached their zenith. Proof of creating the Omega Elixir. Laphicet now has something more precious than any item. Proof Eizen has settled one score. But there are still payments to be made. That's part of the creed. Proof that Magilou's Menagerie performed perfectly. A capacity crowd! A standing ovation! No refunds! Proof Eleanor found her answer. She sees with her own two eyes now, but where is her gaze fixed? Proof of relaxing to the max in an unusual bath. The relief has washed away all memories of clearing the hidden dungeon. Proof of defeating visitors from another world. They will travel on, though, as long as their mission remains. Proof of witnessing and overcoming the dawn of darkness. But beware, for a turtle never forgetz. Proof a promise was made between the reaper and a fighter. You can be sure that promise will be fulfilled. Proof of seeing every mystic arte. Luck is also a talent. Perform a combo with 100 or more hits. Overwhelm your foe with artistic style! Collect 20 or more souls in a single battle. Seek out dangerous fights and crush the reinforcements! Proof of using every Break Soul. Use this unique power wisely and you'll be able to overcome any foe. Inflict 10,000 or more damage with a single hit. Use Break Soul combos, increased damage from stuns, and various skills to create the ultimate crushing blow. Raise a character to level 200. There's nothing that can challenge you now... Or is there? Defeat the dire foe, Hanged Man. You'll always have a friend nearby. Defeat the dire foe, Queen Bee. Discretion is the better part of valor, but failing to escape is just fate. Defeat the dire foe, Sacred Baboon. Where's the fun in being polite all the time? Defeat the dire foe, Bacturnian Man. You can walk away happy now. Defeat the dire foe, Lindwurm. Did you ever think that maybe you're the real dire foe? Collect every glacite. The power is in your hands! Bring all characters' titles to level 2. You seem to have a pretty good grasp of what each character can do. Proof Velvet knows 50 or more skills. She'll do whatever she has to in the pursuit of her goal. Proof Rokurou knows 50 or more skills. He will pay the debts he owes. That's the Rangetsu way. Proof Laphicet knows 50 or more skills. He is at an age of expanding curiosity and swift growth. Proof Eizen knows 50 or more skills. He's got a fist strong enough to overturn fate and protect his friends. Proof Magilou knows 50 or more skills. Her words are questionable, but her ability is authentic. Proof Eleanor knows 50 or more skills. Despite her misgivings, she'll step steadily forward, her spear firmly in hand. You've strengthened equipment 50 times. You seem to have the hang of this. Now go out there and make the best equipment possible! Proof of doing whatever it takes in the pursuit of Gald. Don't spend it all in one place! Unless you really want to. You buy. You sell. You strengthen equipment. A preferred customer like you is a mover, a shaker, and a genuine job creator. An award given to those who find treasure chests and open them. The contents don't matter. It's all for the thrill of pulling back that lid. Proof of sailing every water and discovering every treasure. There's no stone in this world you've left unturned. The main story is nice and all, but it's important to stop and smell the roses. You've learned some surprising things, haven't you? Gels, equipment, food, costumes, valuables. From the powerful and precious to the downright weird, this is proof you've collected it all. Proof of earning untold wisdom through defeating countless foes in battle after battle. There's no weakness you can't exploit. You can make any type of food. That's pretty cool, right? Well, eat up and get back to battle! Proof of unlocking every geotree. Can you do any sweet tricks on that thing? You must really love katz to have collected so many katz spirits! That's the spirit, meow! Proof of conquering every Class 4 Administrative Zone. Yeah, you can brag about this. Proof of hunting every last code red daemon. You've brought an end to that battle. 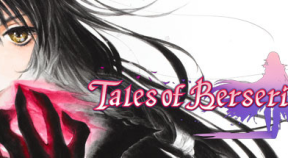 You've earned Tales Coins by relaxing and playing. Who knew they'd pile up like this?